Juice cleanses have been all the rage among the fit and fabulous for some time and have now made their way into the hearts of the average Jane with good reason. The benefits of juicing and juice cleanses are well documented, from general and specific organ detox to increased energy and weight loss, there’s a cleanse for just about everything. With all the processed foods in our diets, cleanses are highly encouraged these days. They’re not always easy, but oftentimes necessary. 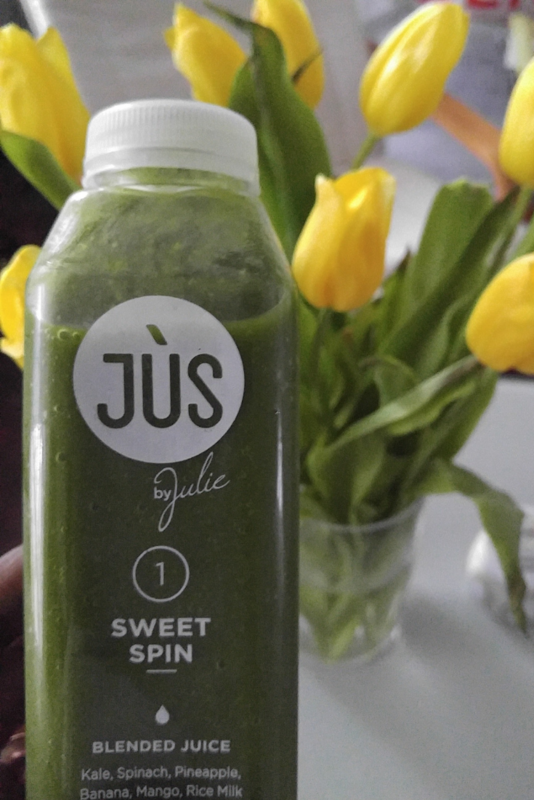 I recently embarked on a juice cleanse mission with JUS by Julie to get a fresh start for spring. Let me be clear right up front. I’m a girl who likes food. Hot food, cooked food, chewable food. I’ve done juicing and attempted cleanses before with varying degrees of success and often abandon the process for a number of reasons, chief among them, not having food. Most people don’t want to know me if I haven’t eaten sufficiently and the rest fall out after they’ve experienced a Patranila that had to run a bunch of fruits and vegetables through a juicer and then clean the thing. JUS by Julie eliminates one of those problems right off the bat. The juices are delivered to your door ready to drink. No fuss, no shopping, no cleaning. Julie and I are fast friends. 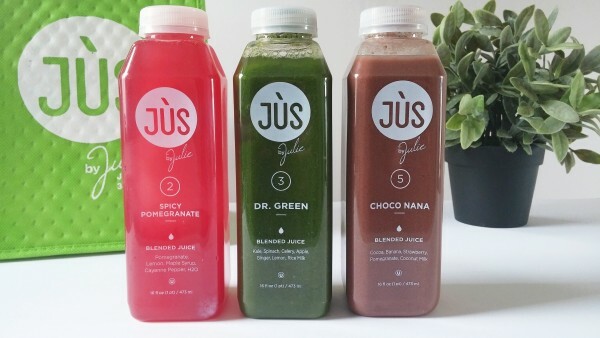 More important than the convenience factor though, is that the JUS by Julie ‘JUSes’ are blended fruits and vegetables. Blending ensures that the food’s natural fiber is included in the final product. When you juice traditionally, you extract the juice from the fruit/vegetable and leave all the fiber behind. This never made much sense to me because fiber is your friend. Fiber helps you feel full, aids in digestion and wards of the Hangry Monster, all very good things. 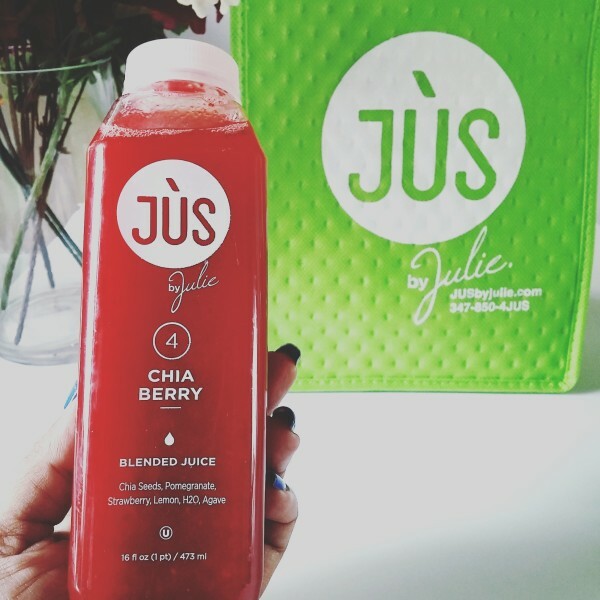 With 1-day, 3-day and 5-day cleanses, JUS by Julie gives you a handy drink-by-number system to make your cleanse really easy. Each juice is numbered from 1 to 6 and all you have to do is start with #1 for breakfast and drink your way through the set finishing your 6th juice at least two hours before bed. The juices arrive cold and need to stay that way so JUS by Julie provides a temperature control carrying bag that allows you to travel with the juices if you’ll be out and about. 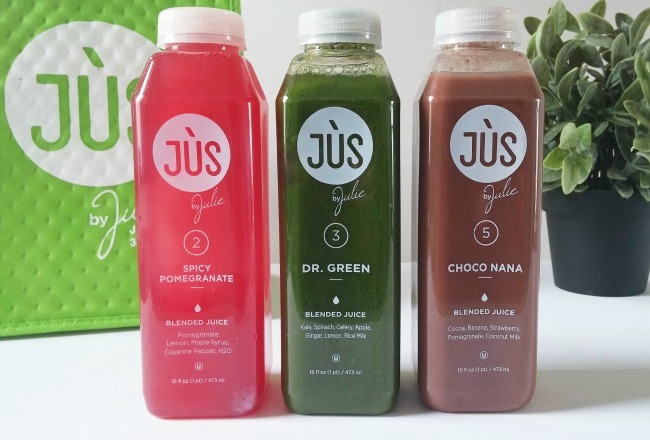 The JUSes are blended daily and have a refrigerated shelf life of up to four days which means you’ll need to freeze some batches immediately if you’ll be cleansing for five days or more. Freezing and thawing instructions can be found in the handy Cleanse Guide that arrives with your order and on the website. Note: Even though you’ll be consuming all of your calories in liquid form, you should still drink lots of water between juices to stay hydrated. I received a complimentary 3-day Classic Cleanse which included 18 16-oz JUSes and a bottle of Julie’s rather fancy probiotic coffee. To be clear, I had no intention of cleansing for three straight days. That’s a flat-out impossibility in my life so I did one day at a time with chewable food days in between. I immediately froze the JUSes that I’d be drinking later in the week and got started on the first day with Sweet Spin, a blend of spinach, kale, mango, pineapple and banana. Full disclosure: I drank it after my morning coffee. I couldn’t give up everything all at once! I was pleasantly surprised with the taste of Sweet Spin. It’s an easy juice to consume, light and refreshing. It’s perfect for breakfast. By the time I got to my fourth JUS, Chia Berry, I was nearly juiced out for the day and simply couldn’t drink any more. Frankly, I wasn’t accustomed to so much intake in a single day. I barely find time for two decent meals a day so the notion of constant consumption was a little overwhelming. I powered through the Chia Berry though and called it a night. I felt a little hungry during the day but not wildly so and was able to get through it with only a slight deviation of coffee in the morning and soup in the afternoon. The next day I picked up where I’d left off and tried the PB&JUS, a peanut butter based offering and finished with X-Treme Greens which was quite delish! It has spinach, kale, orange, pineapple, hemp seeds, lime and water. My all-time favorite is Chia Berry. Made with chia seeds, pomegranate, strawberry, lemon, agave and water, it’s the perfect combination of sweet and tart for a midday pick-me-up. I also like the breakfast juice Sweet Spin, the dinnertime X-Treme Greens and both the Spicy Pomegranate and Spicy Lemonade. The cayenne pepper in the spicy JUSes is serious business, so beware. Even though I didn’t do a faithful cleanse because I couldn’t consume all of the JUSes in a single day, I noticed an obvious uptick in my energy after that first day of four JUSes. I felt lighter on my feet and surprisingly more contained within the frame of my body. A little weird I know, but great. As I mentioned above, I added 8 ounces of organic butternut squash soup in the late afternoon because I really need something hot in order to feel sane throughout the day. I think it was an acceptable cheat/deviation as even Julie recommends eating raw veggies, fruits or egg whites if you absolutely need to have food during the cleanse. I still would like to dedicate a full day to doing a complete cleanse but even if I don’t, I think the benefits of even a partial cleanse are pretty good. It’s really easy to get started and keep going for as long as you’d like. 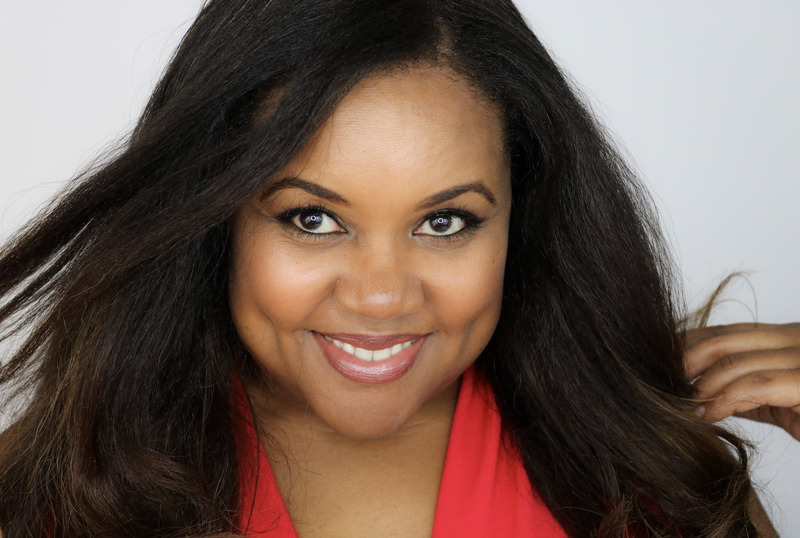 You can purchase cleanse packages, single JUSes or take advantage of the subscription service to have JUSes delivered to your door every month or every three months. The 1-day cleanse is $50, the 3-day cleanse is $140 and the 5-day cleanse is $225. There is a 10% savings on each cleanse if you get a subscription. Check the site for more details. I’ll say again that the convenience factor is a big plus to me. I don’t take time to prepare meals often and having meals or meal replacements delivered to my door is a major draw. 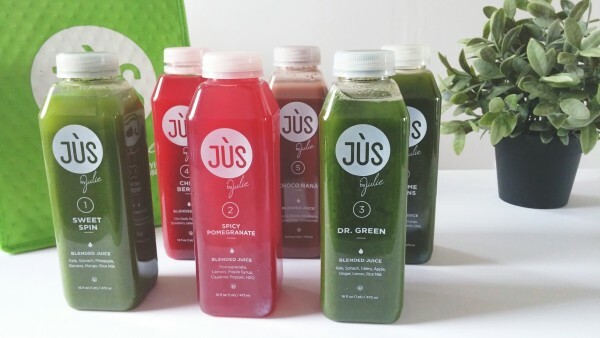 JUS by Julie also offers a line of 100% vegan and gluten-free soups that are great for snacks or post-cleanse. This could be a great solution to my less-than-stellar eating habits and I’m probably not alone in this one. With a subscription I could choose the JUSes that I really like and get most of the nutrition I need, have more energy and feel lighter. Not too shabby. I recommend giving it a try! Drink up darling. They’re really good! There are only a couple that I don’t care for but overall, yum! I’ve wanted to try the juice cleanse for forever and this one seems to take the hard work out of trying to figure out what to do! Thanks for sharing! It is so easy, just pop the cap and drink! I haven’t tried this one yet yet but I have done juice cleanses. I need to get on this more. This one is pretty good. I ordered a second batch that I’m drinking right now.